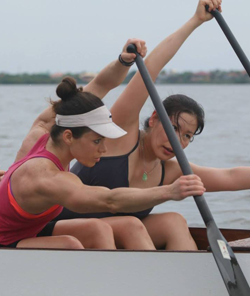 The Schuylkill Dragons, founded in 2001, is the oldest continuously active women’s dragon boating team in Philadelphia. The team includes paddlers of all levels ranging from beginners to those experienced in international competitions. 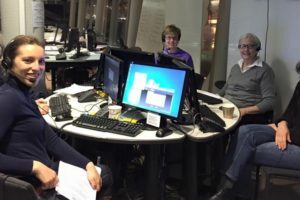 This team of women, ranging in age from 20s to 70s, continues to shatter society’s preconceived notion of aging and to create great role models for women of all ages. The team provides challenging, well-organized, coached workouts. Some members focus on local, regional, national or international competitions while other are involved to keep fit. 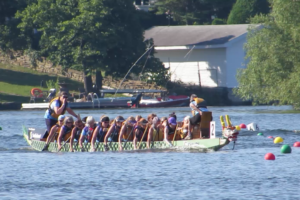 The Schuylkill Dragons (SDs) is a women’s dragon boat team whose members are committed to supporting each other in building healthy bodies and spirits, promoting team spirit and a willingness to work together, learning to compete at their best, and introducing this fun sport to others. The team employs coaches who will work with all levels of paddlers, teaching the basic skills to beginners and refining the skills of experienced paddlers. They prepare the team to be competitive at local, national, and international events in Premier, Masters and Grand Masters classes. The Schuylkill Dragons are coached by two stellar coaches. Senior Coach Joann Fegley and Assistant Coach Megan Roberts. I love paddling, but my passion is coaching. I get as big of a rush from seeing those “aha moments” from the crews I’m coaching as I do from crossing the finish line in my own race. I’m a “work hard, play hard” kind of person, so my expectation is that when we are in the boat we are focused and working hard; I put forth my best, and I want my crew to do the same so that we all have confidence in each other. But it’s important to enjoy the sport too, so the camaraderie off the water is also a great time. Coach Joann Fegley continues to build on our tradition of excellece! Fegley is now sharing her expertise as part of the Team USA coaching staff. 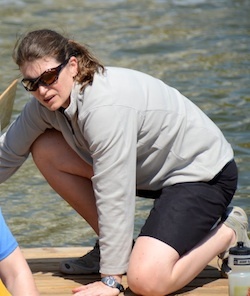 In addition to her local coaching duties, in July 2013 she served as coach of the Team USA Senior A (40+ up) Women’s Crew at the 11th World Nations Championships in Szeged, Hungary. Being a part of the Schuylkill Dragons community as both paddler and coach has been an inspiring, transformative experience from day one. My role as coach developed from a desire to share my passion for the sport and further contribute to the organization that created it. I’ve been competitively paddling dragon boat with the team since 2011 and outrigger since 2013. Since 2013, I’ve represented the USA at dragon boat world championships as a member of both the Premier Women’s and Mixed crews. In 2014, I joined the coaching staff at Paddle Pool USA. 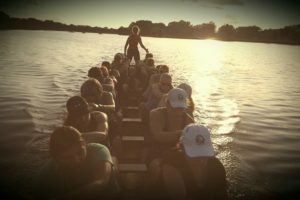 Since then I’ve grown through coaching roles with a variety of dragon boat teams in the region as well as Philadelphia Outrigger Canoe Club. In 2015 I developed and began coaching the Schuylkill Dragons Rookie Program; in 2016 I moved into the broader role of Assistant Coach. I bring to the team a general fitness background in personal training, an obsession for fine tuning and efficiency, intensity in the boat, and a strong value shared with head coach Joann Fegley for cultivating positive team culture. The Board of Directors of the Schuylkill Dragons make the business decisions for the team. This includes hiring and managing the coaching staff, purchasing and maintaining the team’s property (boats, outrigger canoes, equipment), scheduling practices and races, running fundraising and social events, as well as many other details involved with the team. There are currently seven Board members, who are elected by the team members for two-year terms. The Board holds an official monthly meeting but communicates continually to ensure the smooth operation of the team.